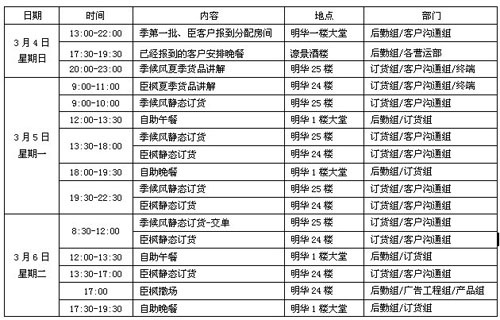 In recognition of the support and love of our franchisees and branch staff for our â€œMongolian Windâ€ and â€œChen Fengâ€ clothing brand, our company is scheduled to hold it at Shenzhen Minghua International Conference Center from March 4th to 6th, 2012. SEASON WINDâ€ â€œsÃ©fonâ€ 2012 third product order meeting. In 2000, Bright Orient (Holding) Ltd. invested in the Chinese women's apparel market and successfully acquired Shenzhen Fontaine Industrial Co., Ltd. (the company's total assets were 340 million yuan). In February 2002, it began to operate the season Wind fashion brand in China. In March 2002, the season wind China design team was established, and senior international designers served as the design chair of China. In May 2002, the season wind officially landed on the Chinese market. In December 2002, Bright Orient established a holding company in Shenzhen, China - Shenzhen Xingtai Jifeng Fashion Co., Ltd. The Shenzhen wind brand has been fully designed, manufactured, operated and promoted by Shenzhen Sifeng. 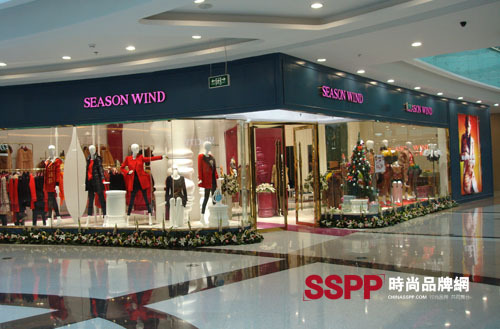 At present, season wind has covered more than 200 cities and more than 500 specialty stores in China. 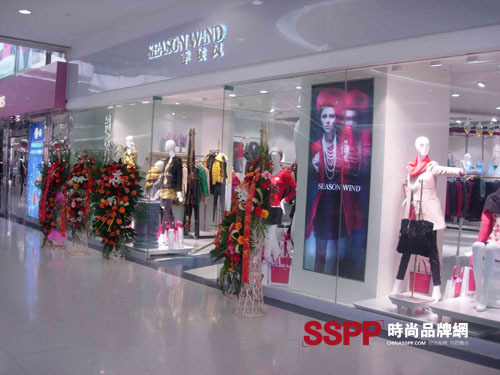 In April 2004, it began to operate sÃ©fon luxury women's clothing brands in China. In May 2004, the sÃ©fon China Design Team was established and the senior international designer was appointed as the design host for China. In February 2005, sÃ©fon officially landed on the Chinese market. In the future, Monsoon will focus on the season wind and sÃ©fon women's brands, based on the Asian market, and based on a unique brand culture, strengthen the capitalization of the brand and strive to become an internationally renowned brand. "Office Fashion" profoundly understands the inner beauty of modern white-collar women in pursuit of beauty and fashion. It is a fashionable commuter outfit that is suitable for both business office and entertainment life. It successfully debuts the heart of a white-collar beauty and leads the ever-changing style of the office. Petty's hot pursuit. Seasonal winds refer to the European design style, fashion but not publicity, femininity is not complicated; style is novel, fashionable, strong collocation, details are unique and ingenious; whether it is office, meetings, appointments or entertainment, the monsoon is a confident fashion choice . Getting There: Subway to Sea World Get off at Shenzhen Railway Station and get off at K204 to Sea World, and Shenzhen Baoan Airport to 355 to get off at Sea World. The venue is limited. Considering order and safety, children are not allowed to participate! Time is tight, order and travel tired, pregnant women cautious travel! The Cotton Percale Fabric refer to a fine closely woven cotton plain fabric, which has a thread count of about 200 or higher and is noticeably tighter than the standard type of weave used for bed sheets. It is firm and smooth with no gross and washes very well. Because it is woven by cotton yarns, the cotton percale fabric has good characters of moisture absorption and air permeability. There is cotton percale bleached fabric, Cotton Percale Dyed Fabric and cotton percale printed fabric. Our company, Shijiazhuang Guangda Textile Co., Ltd mainly weaves the cotton percale fabric using 40s-120s yarns, from 200T to 1000T, in 183cm, 250cm, 280cm, 300cm and 315cm width. And then we bleach or dye or print the cotton percale fabric and roll on hard paper tubes, cover with plastic bags outside then pack in woven polyester bags. We always use the cotton percale fabric to make sheets, fitted sheets, Duvet Covers and Pillowcase Slips for home, hotel and hospital.